Our UB kids at 8-days! 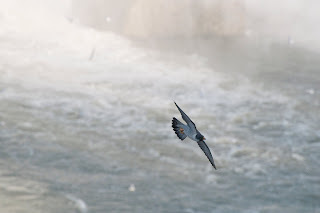 A big thank you to Rebecca for sending in these great shots of the two peregrines at the Niagara falls gorge that were taken on May 9th of this year. While the search continues to try and identify a possible nest site, (and to identify the birds themselves), it appears that the elusive pair are still very much around and have been quite active. Observation reports of the birds activity have been streaming in from both sides of the border in recent weeks, but the mystery continues with regards to any nesting activity and the birds identity. 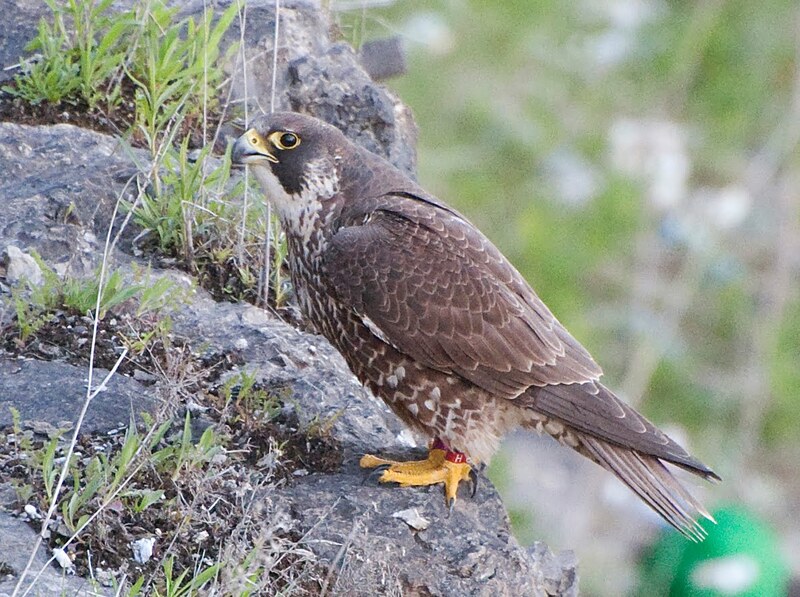 While both of the birds still remain unidentified at this point, we do have a partial band number and band colour of the female given Rebecca’s photo that indicates that the she dawns a Black over Red colour marker band having a lower alpha digit of H. The USFW band number appears to a coloured band instead of the typical silver coloured band. 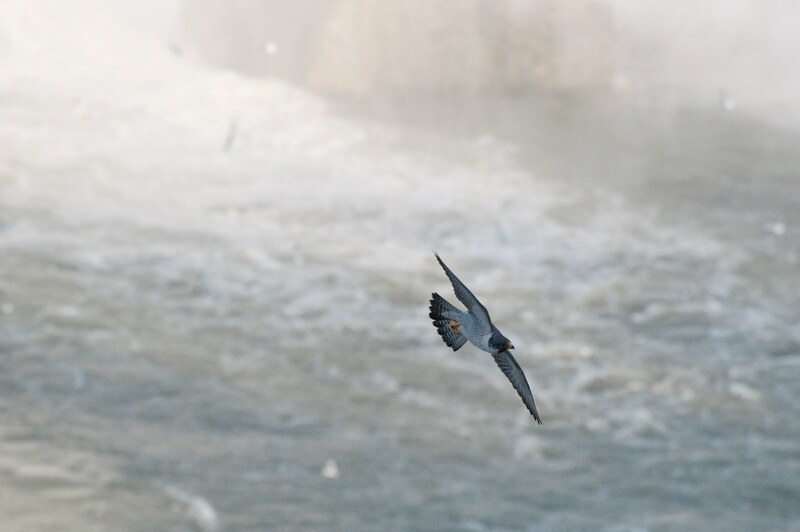 The photo of the male in flight that shows one of its legs, appears to be unbanded. The mystery contines………..